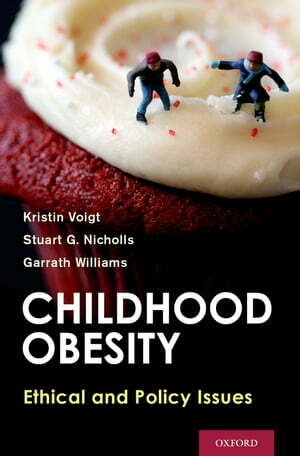 Collins Booksellers - Childhood Obesity by Kristin Voigt, Stuart G. Nicholls & Garrath Williams, 9780199362622. Buy this book online. Childhood obesity has become a central concern in many countries and a range of policies have been implemented or proposed to address it. This co-authored book is the first to focus on the ethical and policy questions raised by childhood obesity and its prevention. Throughout the book, authors Kristin Voigt, Stuart G. Nicholls, and Garrath Williams emphasize that childhood obesity is a multi-faceted phenomenon, and just one of many issues that parents, schools and societies face. They argue that it is important to acknowledge the resulting complexities and not to think in terms "single-issue" policies. After first reviewing some of the factual uncertainties about childhood obesity, the authors explore central ethical questions. What priority should be given to preventing obesity? To what extent are parents responsible? How should we think about questions of stigma and inequality? In the second part of the book, the authors consider key policy issues, including the concept of the 'obesogenic environment,' debates about taxation and marketing, and the role that schools can play in obesity prevention. The authors argue that political debate is needed to decide the importance given to childhood obesity and how to divide responsibilities for action. These debates have no simple answers. Nonetheless, the authors argue that there are reasons for hope. There are a wide range of opportunities for action. Many of these options also promise wider social benefits.